Members of the La Joya Juarez-Lincoln High School boys soccer team celebrate winning the Class 6A Team of the Year award during the All Valley Sports awards banquet held at Mario's Banquet and Conference Center June 10, 2017 in Mission. 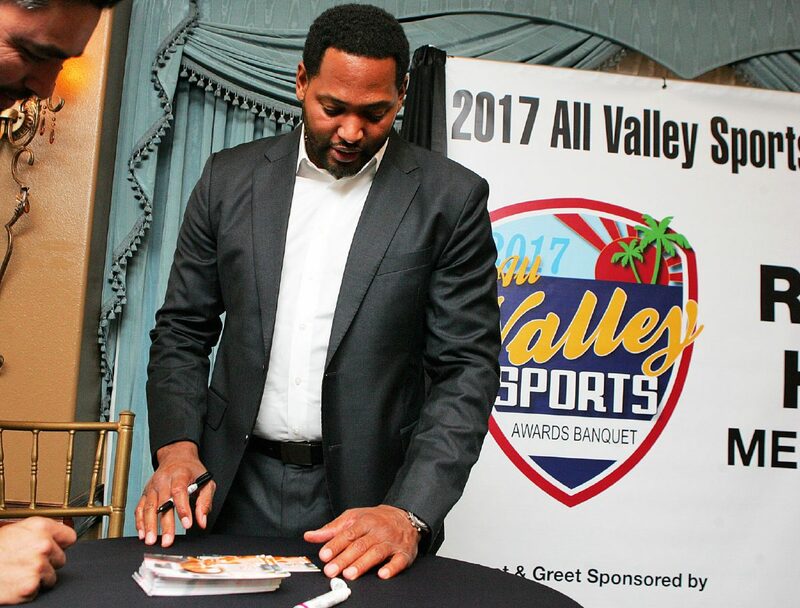 MISSION — Andalusia, Alabama, may be a small town located in one of the southernmost counties in the state, but it means the most to All-Valley Sports Awards Banquet keynote speaker Robert Horry. 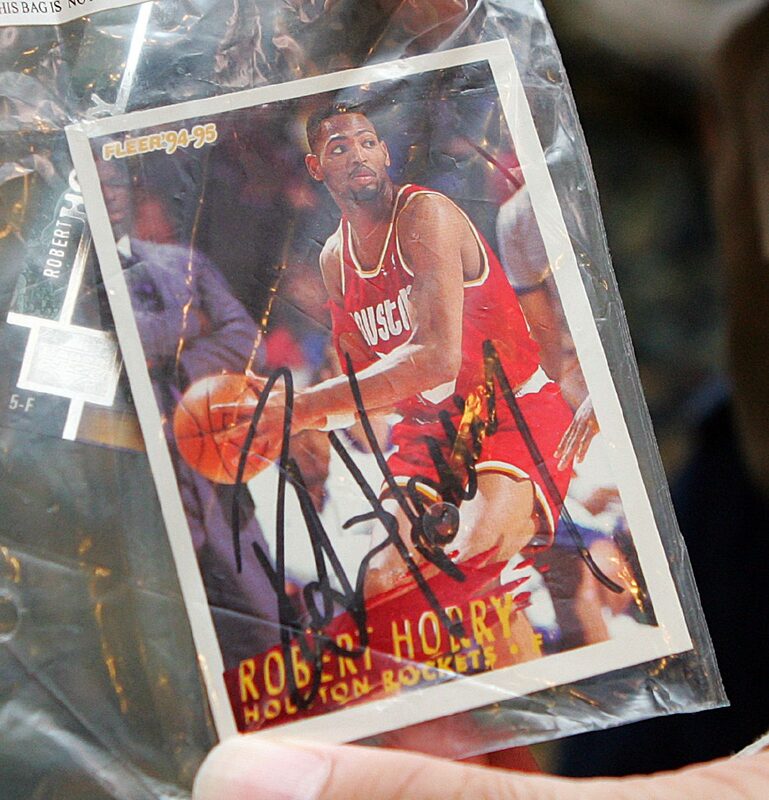 Horry earned a scholarship to play college basketball at Alabama for legendary head coach Wimp Sanderson. Winner of the Boys Cross Country Athlete of the Year, Daniel De la Cruz, Donna North High School, poses with Carlos Sanchez, editor of The Monitor Newspaper, during the All Valley Sports awards banquet held at Mario's Banquet and Conference Center June 10, 2017 in Mission. 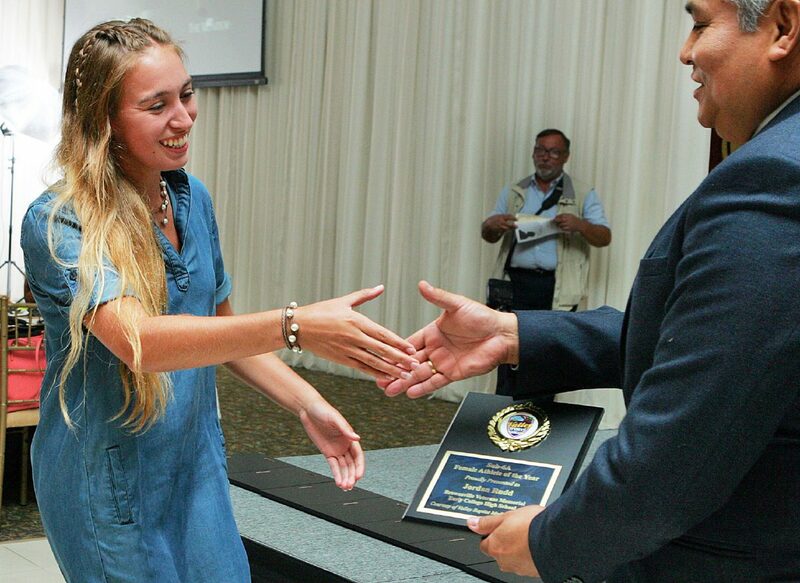 Jordan Rudd, of Brownsville Veterans Memorial Early College High School, accepts the award for Sub 6a Female Athlete of the Year from Frank Escobedo, Brownsville Herald and Valley Morning Star publisher, during the All Valley Sports awards banquet held at Mario's Banquet and Conference Center June 10, 2017 in Mission. 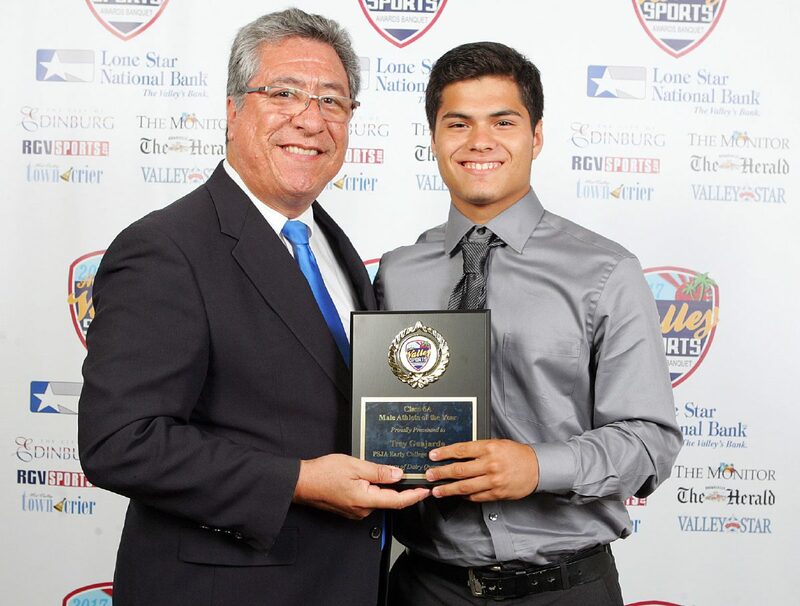 Winner of the Class 6A Male Athlete of the Year, Trey Guajardo, of PSJA High School, poses with Carlos Sanchez, editor of The Monitor Newspaper, during the All Valley Sports awards banquet held at Mario's Banquet and Conference Center June 10, 2017 in Mission. 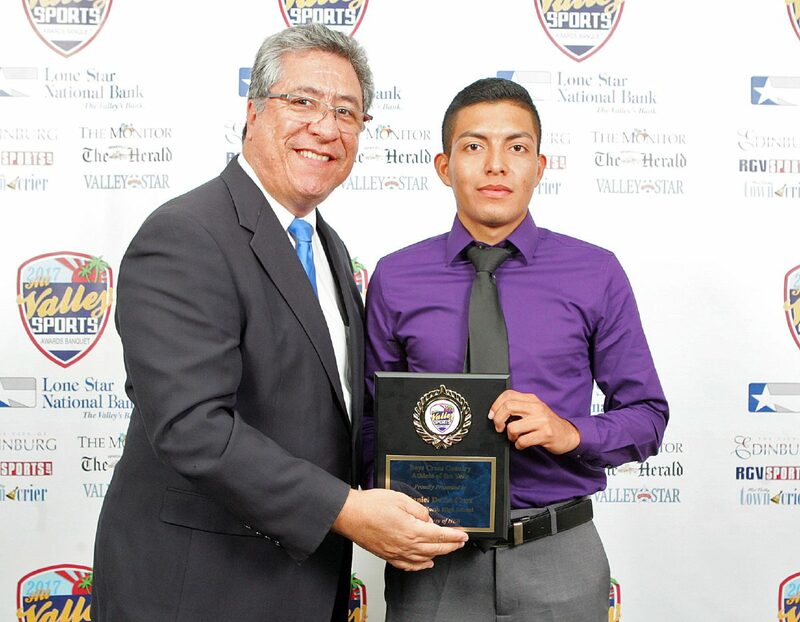 Sub-6A Male Athlete of the Year, Diego Hernandez, Mission Veterans, receives his award from Frank Escobedo, Brownsville Herald and Valley Morning Star publisher, during the All Valley Sports awards banquet held at Mario's Banquet and Conference Center June 10, 2017 in Mission. Even as the No. 1 scoring option for the Crimson Tide, Horry stepped on campus with intention of earning a degree and becoming a math teacher. 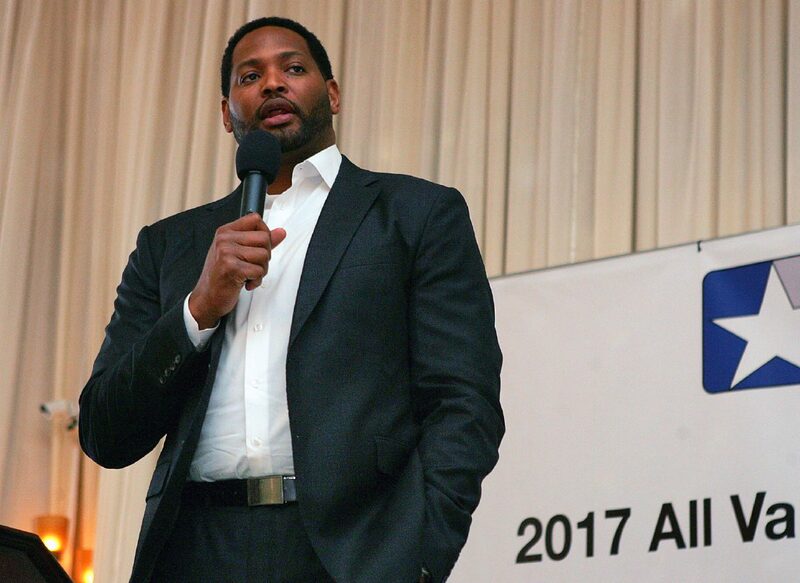 Horry’s mindset changed following a season-ending loss in the 1990 NCAA Division I Men’s Basketball Tournament during his sophomore season. “One of our guys told me that a magazine had just come out and named me one of the top 10 small forwards in the country,” Horry said. “Most of the guys that make that list are either juniors or seniors and here I was, a sophomore. 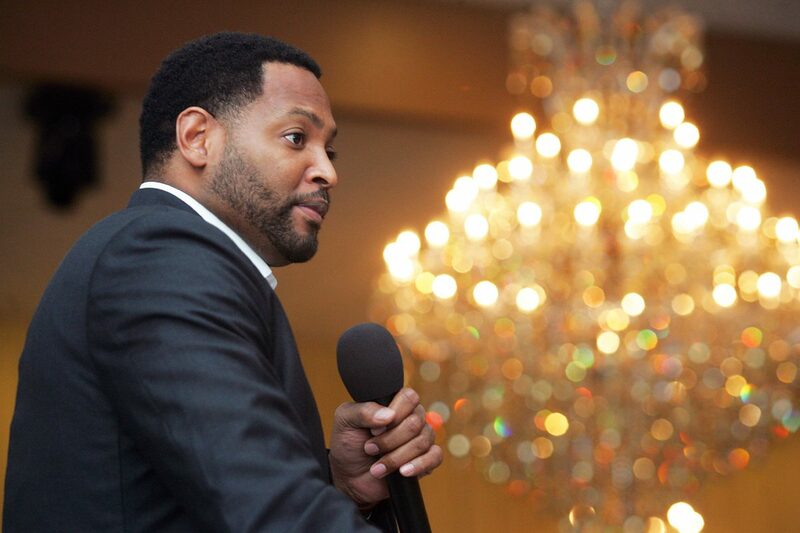 Sixteen years in the NBA and seven NBA championships later, Horry has become one of the more recognized role players in league history, known for his penchant of making important shots in critical moments. 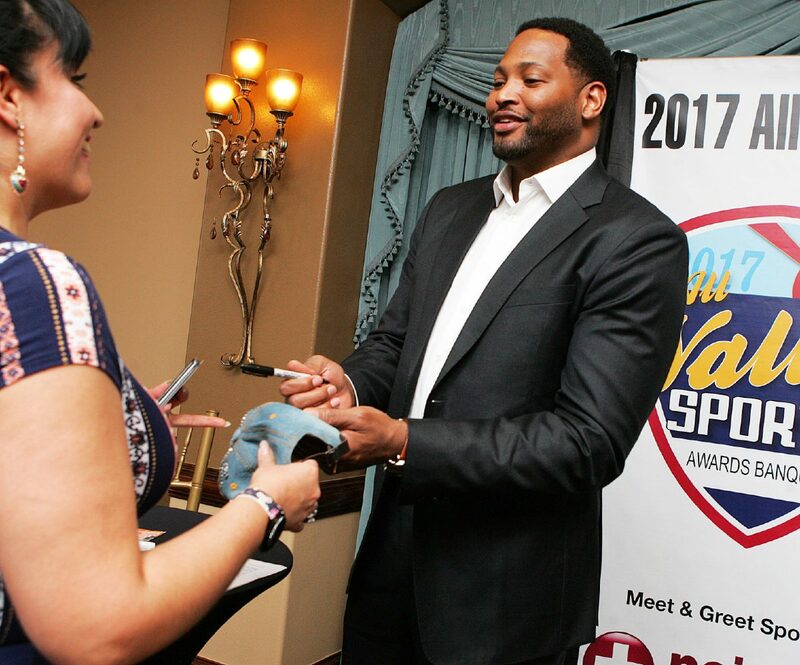 Horry was more than happy to offer his experiences to the athletes at the 2017 All-Valley Sports Awards Banquet, hosted by RGVSports.com and AIM Media Texas in conjunction with the RGV Sports Hall of Fame on Saturday night. The Banquet featured 98 athletes, coaches and teams vying for 32 awards. 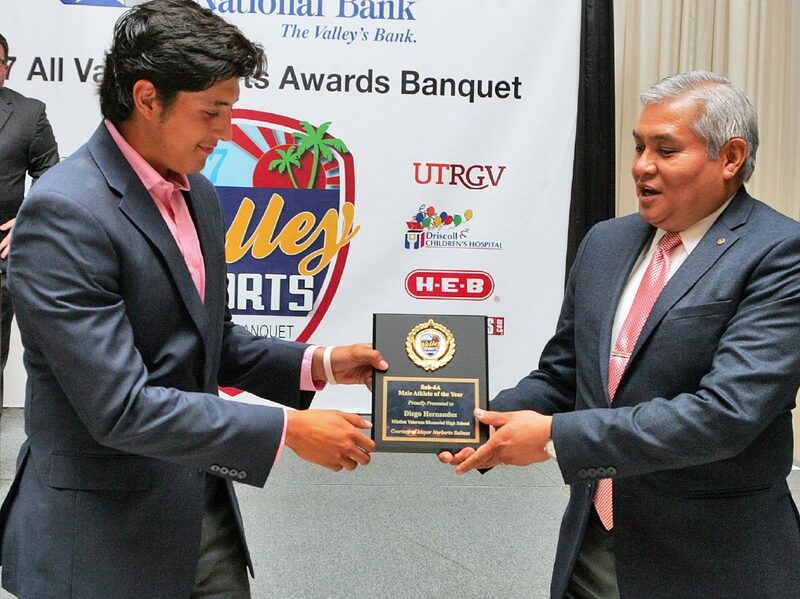 Key individual winners include PSJA High’s Trey Guajardo, who captured Class 6A Male Athlete of the Year following a freshman campaign where he played baseball and, most notably, started at quarterback and threw for 1,323 yards and 11 TDs while also running for 1,009 yards and 10 TDs. Class 6A Female Athlete of the Year was Los Fresnos soccer senior Tanya Prazelini, who scored a Valley all-time record 68 goals in 2017. Sub-Class 6A Female Athlete of the Year honors went to Brownsville Veterans senior basketball player Jordan Rudd, who averaged 14.8 points, 7.1 rebounds, 3.5 assists, 5.2 steals and 1.8 blocks per game this past season. Mission Veterans quarterback Diego Hernandez was named the Sub-Class 6A Male Athlete of the Year after throwing for 4,175 yards and 45 touchdown passes.